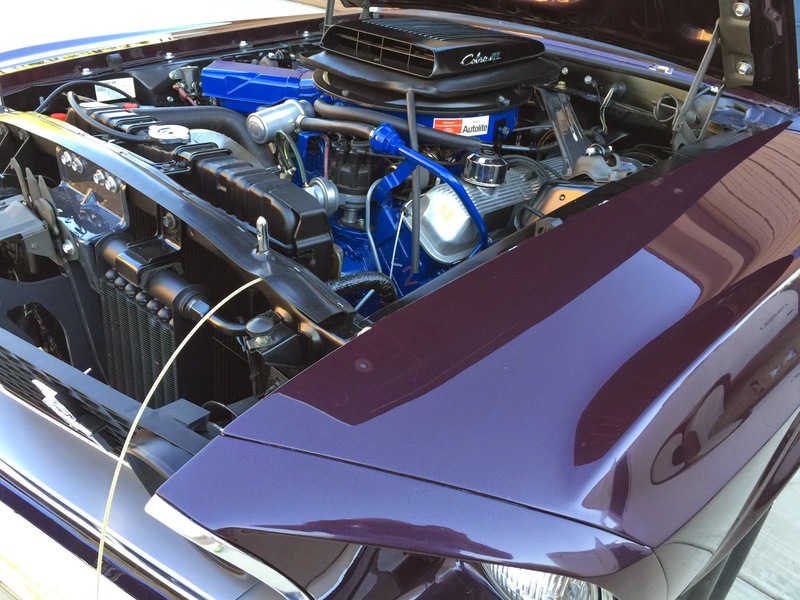 Virginia Classic Mustang Blog: 1969 Mustang Mach 1 in Purple!!! 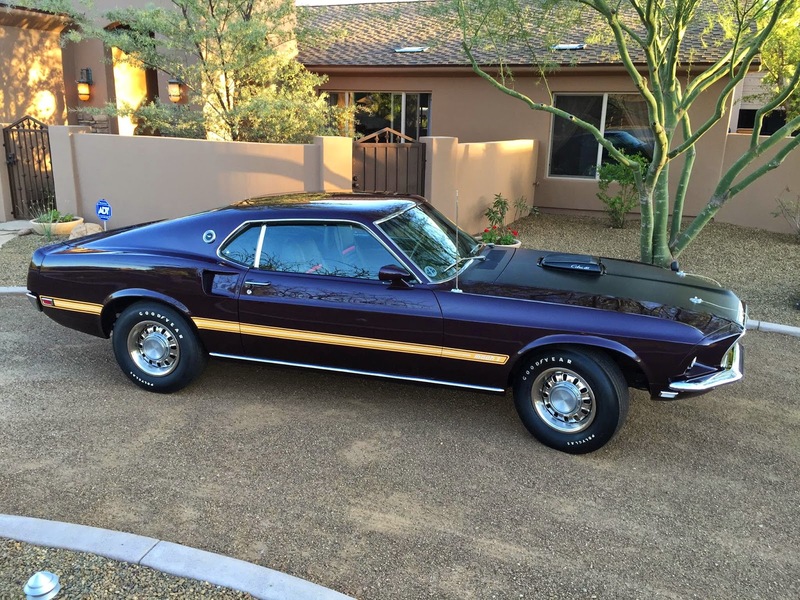 1969 Mustang Mach 1 in Purple!!! 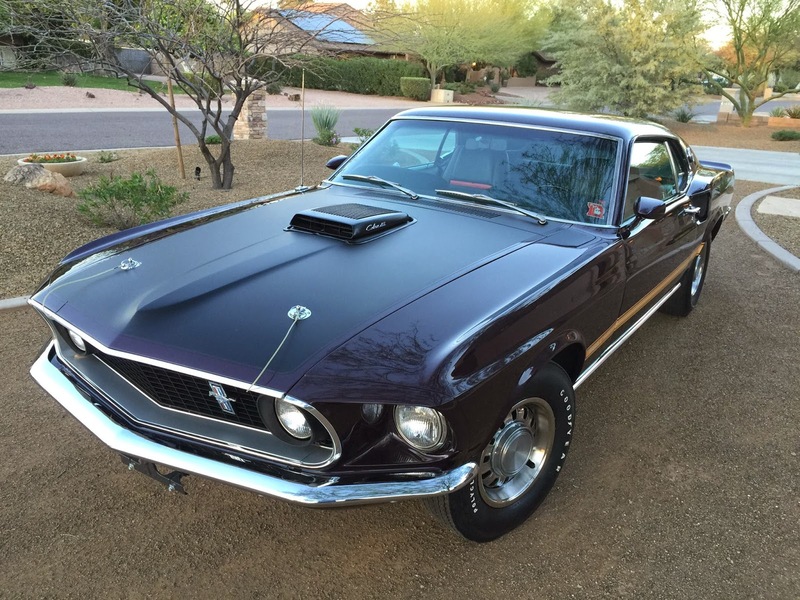 1969 Mustang Mach 1 with special order Purple Paint Code. 428 Cobra Jet with Drag Pack option. Restored by Marcus Anghel at Anghel Restorations. 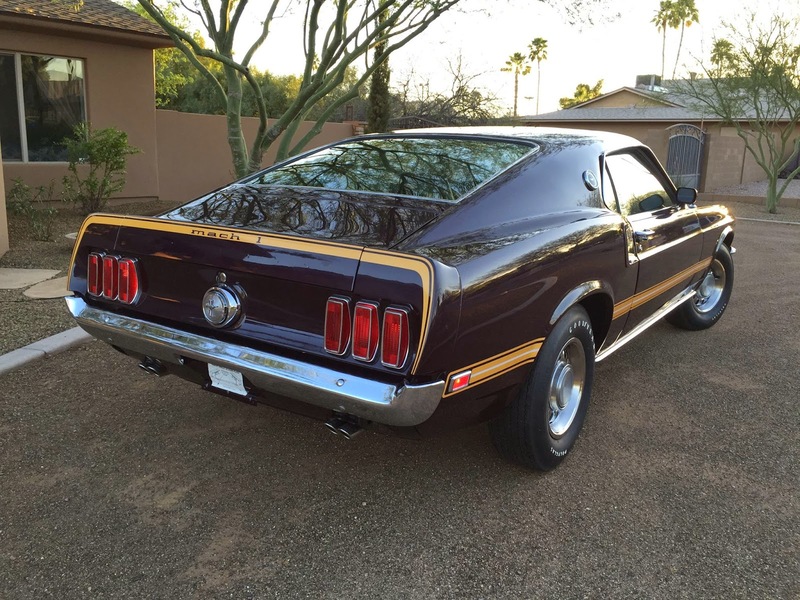 We just could not resist posting these pictures of this gorgeous 1969 Mustang Mach 1 that was recently restored by Marcus Anghel at Anghel Restorations. 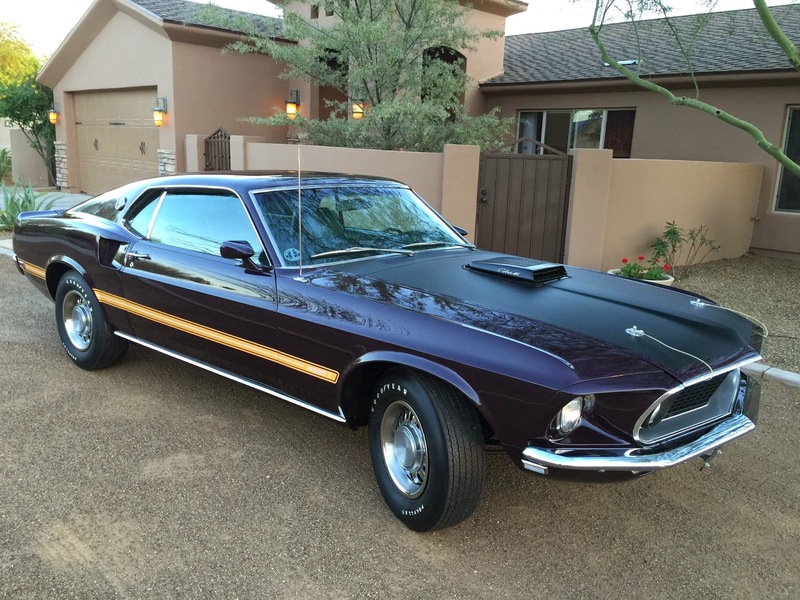 This Mach 1 was originally painted in a special order purple color. It's one of two known to have been built with this Thunderbird paint code. It is the only one that has the Drag Pack - Super Cobra Jet option with the original drivetrain. Its first outing will be March 27-29, 2015 in Tucson, AZ at the 2015 Mustang Club of America (MCA) National Mustang Show. If you are going, be sure to check out this beauty!! Super Nice Cobra Valve Covers are Here!! !